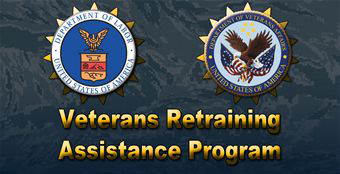 The Veterans Retraining Assistance Program (VRAP), which was officially rolled out July 1, 2012, was created to help unemployed veterans who are seeking to learn new skills in the face of challenging economic conditions. 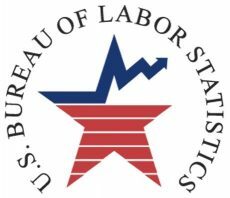 The federal program offers eligible veterans up to a year of educational training aimed at employment in one of more than 200 high-demand occupation as identified by the U.S. Department of Labor. Those occupations include: management; education; healthcare practitioner and support; computers; community and social services; legal services; protective services; and transportation. VRAP participants must be enrolled in a U.S. Department of Veterans Affairs-approved education program offered by a community college or technical school. The programs must lead to a certificate, non-college degree or associate’s degree. Participants can receive up to 12 months of assistance equal to the full-time, monthly rate under the Montgomery GI Bill–Active Duty program. As of July 2012, that rate was $1,473. The VRAP benefits are paid directly to the program participants to pay for tuition, fees, books and other educational expenses. VRAP, which is part of the VOW to Hire Heroes Act of 2011, will be limited to 45,000 participants through Sept. 30, 2012. As of July 17, 2012, there had been nearly 35,000 applications, according to the Department of Veterans Affairs (VA). The program will accept up to an additional 54,000 participants between Oct. 1, 2012, and March 31, 2014. Applications will be accepted through Oct. 1, 2013, or until the program has 99,000 participants, whichever comes first. VRAP is one of numerous programs available through the VA to provide returning service members, wounded warriors and other veterans with educational and training support. As a result of their military service, veterans often have gained leadership training and other skills and experience that can translate to civilian employment. Veterans who have been unemployed for at least 26 weeks will get special consideration in applying for VRAP assistance. All VRAP participants who complete the approved education program will also be offered employment assistance by the federal labor department. Additional information about VRAP, including how to choose a school and apply for assistance, is available on the VOW to Hire Heroes website. Pete Kontakos is a contributor that discusses negotiation training and online education.